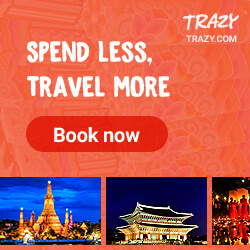 It has been a long while since the last time I dined in Corazon. I remember that it was a family gathering and that we had a scallop fare for lunch. 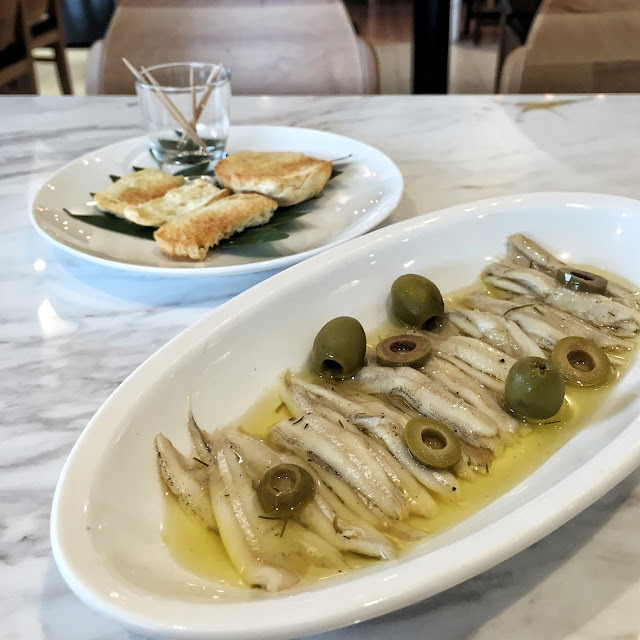 Named as El Corazon in the new Uptown Mall, the homey place still offers Corazon's staple favorites. The Hispanic vibe is very evident as soon as you step foot inside the restaurant. Arches, warm hues, adorable wall decors and bricks (washed white for an illusion of bigger space) are the first things you'll notice. We arrived around 4 pm for an early dinner and we managed to get a table right away. For this meal, we tried Málaga (PHP375), Chorizo Filipino with Egg (PHP345), Gaudi (PHP1,600, whole | PHP850, half | PHP450, quarter) and Paella Valenciana (PHP695). First served were the appetizers. 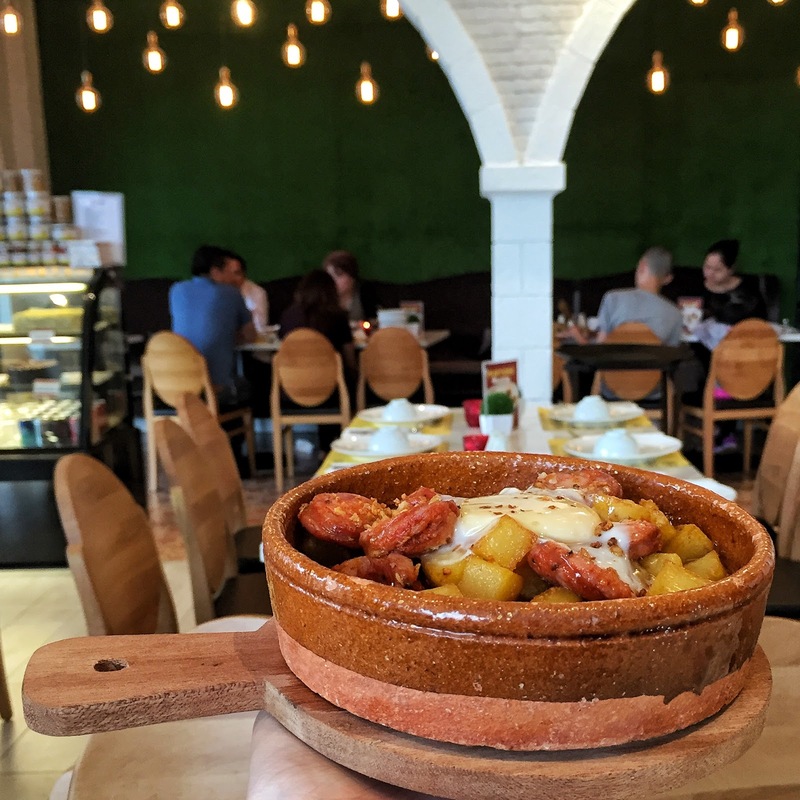 The Chorizo Filipino was served on a small clay pot and came with some warm pandesal. 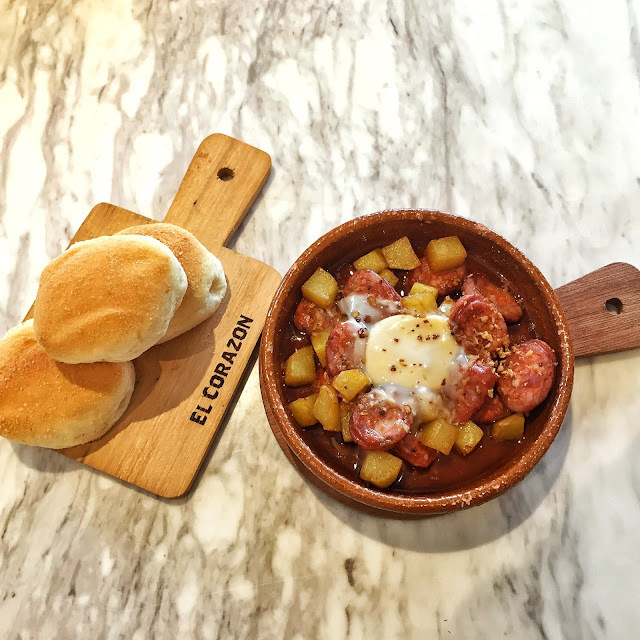 I liked the meatiness of each chorizo slice and how it complemented the potato cubes and fluffy pandesal. The egg made the dish thicker and richer. The mains were up next and both were definitely filling! The paella was topped with fresh seafood such as prawns, squid and mussels. There were also chunks of chicken, pork and chorizo along with veggies, eggs and lemon wedges. It was served super hot making us very cautious to scoop one or two servings. 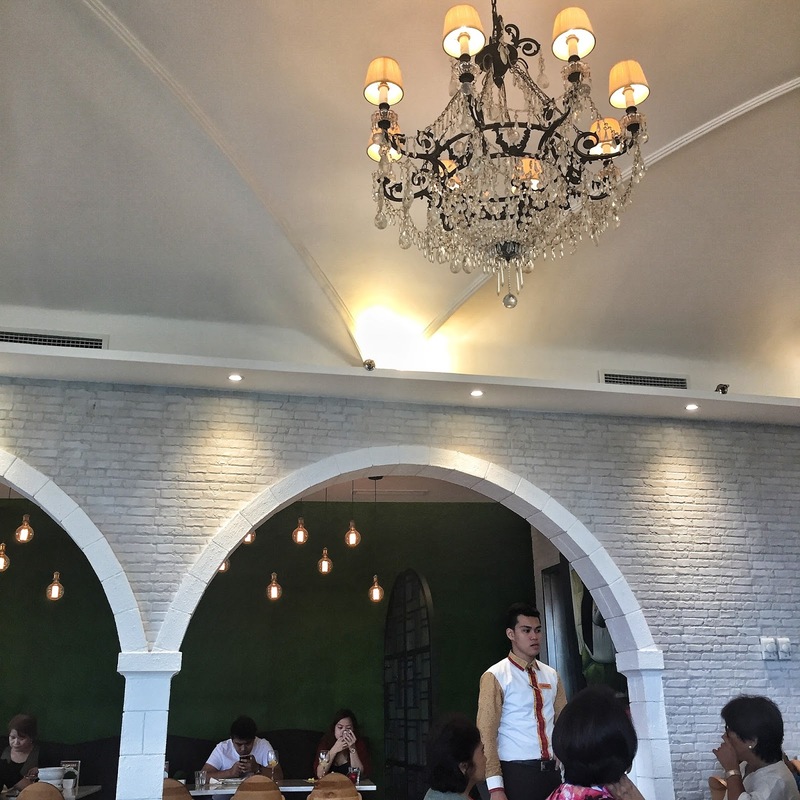 The chorizo, chicken and pork were your usual toppings but I was blown away by the seafood. The freshness of the seafood put a smile on my face. It had the scrumptious sweet taste that I absolutely love! Just make sure to drizzle some lemon juice on your portion if you are the type who likes your paella tangy. Gaudi or chicken galantina reminded me of embutido or Filipino meatloaf. The stuffing inside was mushy and slightly sweet because of the raisins. The bigger chicken chunks added texture to the dish and balanced the sweetness of the dish. 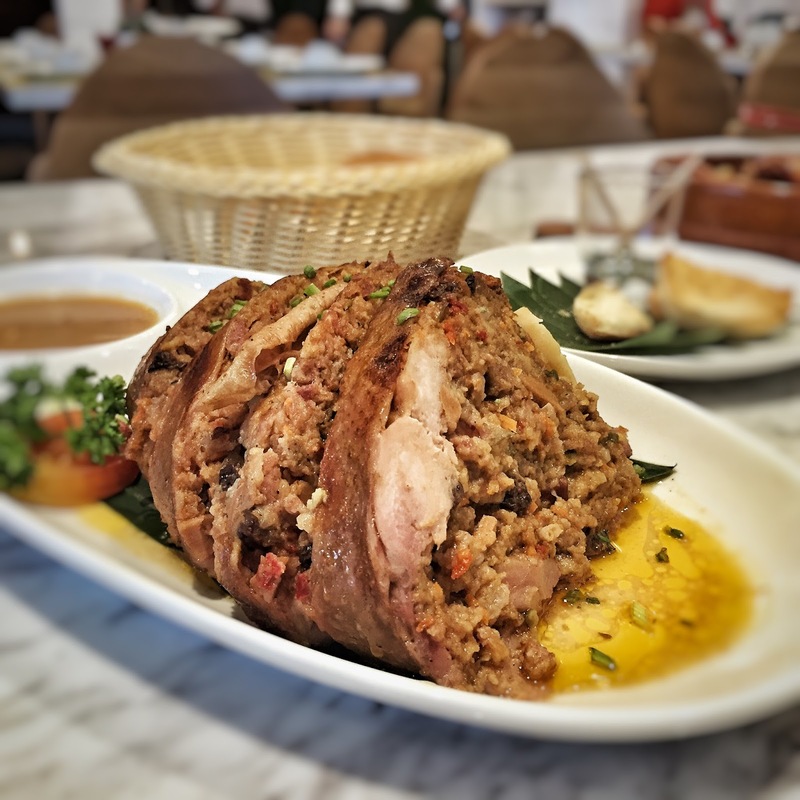 This is best paired with rice as the dish's flavor could be a bit too rich and cloying if enjoyed alone. Service was pretty good as the servers kept refilling my glass with water after two to three sips. 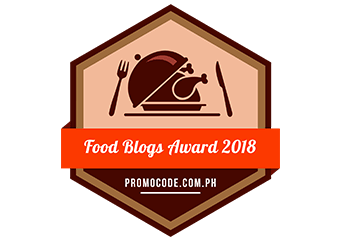 They were also supportive of my dream to be a food photographer as the obliged to my request for a wooden plate for the pandesal paired with Chorizo Filipino. 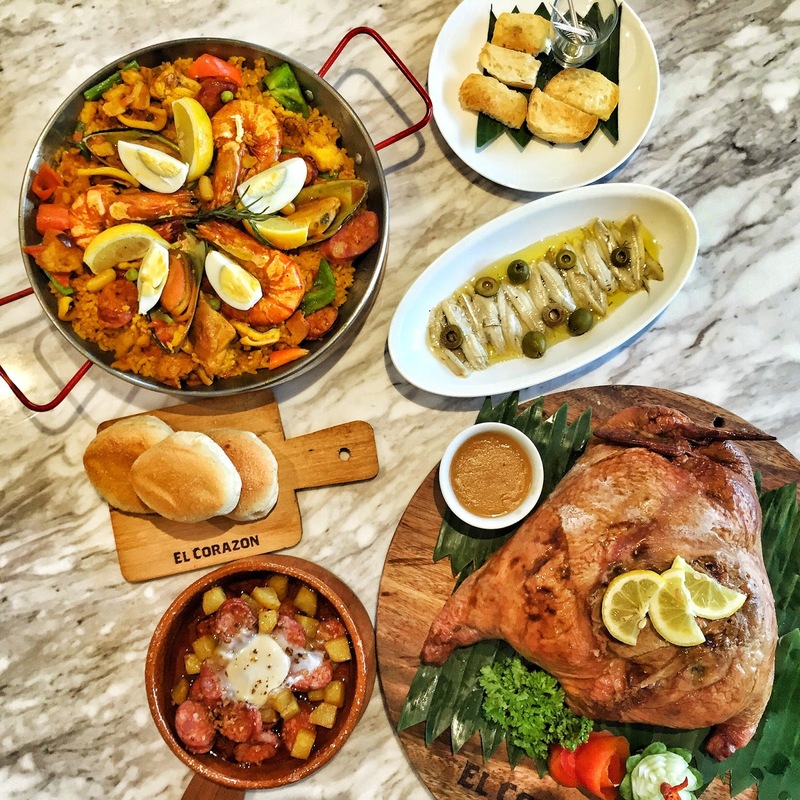 Overall, El Corazon is a good dining spot if you have a sudden craving for Hispanic-Filipino dishes. 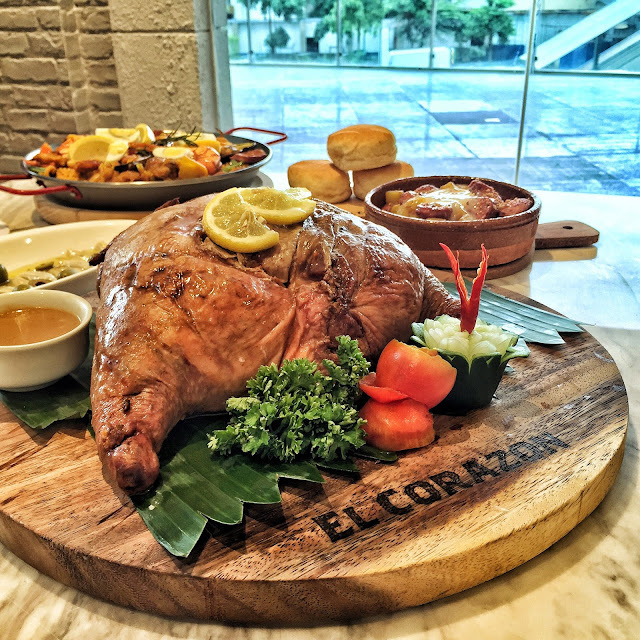 El Corazon is located at 2nd Floor, Uptown Mall, 9th Avenue, Fort Bonifacio, Taguig City. It is beside Paper Moon.